Plum Bottom Gallery will hold its annual Valentine’s show on Feb. 2-3. 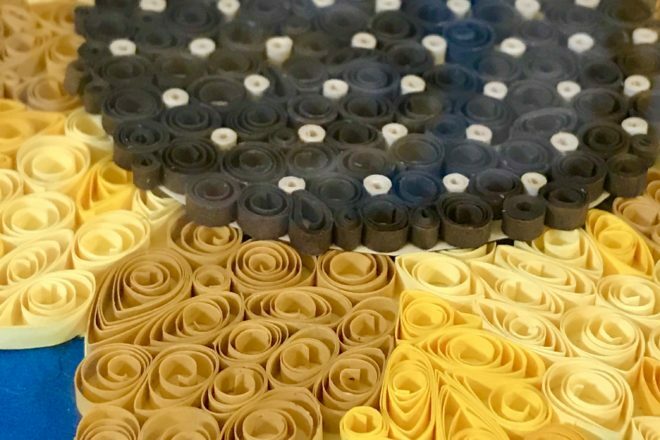 Paper-quilling artist Heather Allard will be at the gallery for a demonstration on Feb. 2, 11 am – 2 pm. Allard’s delicate paper filigrees incorporate vibrant color, beautiful dimensions and textures. With nature as inspiration, Allard’s lilacs, daisies, roses, hearts and abstract compositions delight viewers. Her contemporary work is helping to revive this ancient paper art. While watching the demo and seeing Allard’s work, enjoy a glass of wine or a cup of coffee. Plum Bottom Gallery is located 15 minutes north of Sturgeon Bay or five minutes south of Egg Harbor at 4999 Plum Bottom Road. Look for the yellow flags. For more information, call 920.743.2819.